« Writing Update for February: What Is Coming Next? The Emotion Thesaurus – An Updated Issue on the Way! Getting emotion into a romance is one of the hardest jobs of a writer. Stringing words together to make a story seem real and rounded, one that draws the reader into the world the writer has created is plain hard. 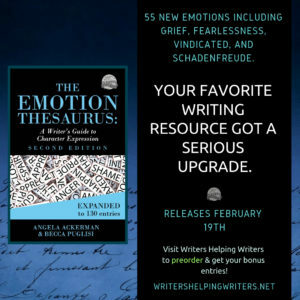 A few years ago Angela Ackerman and Becca Puglisi wrote a book called the Emotion Thesaurus. I, along with many other writers, embraced this book, making it part of my craft library. Since then Angela and Becca have written several other guides just for writers on topics such as positive traits, emotional wounds in characters, and settings. 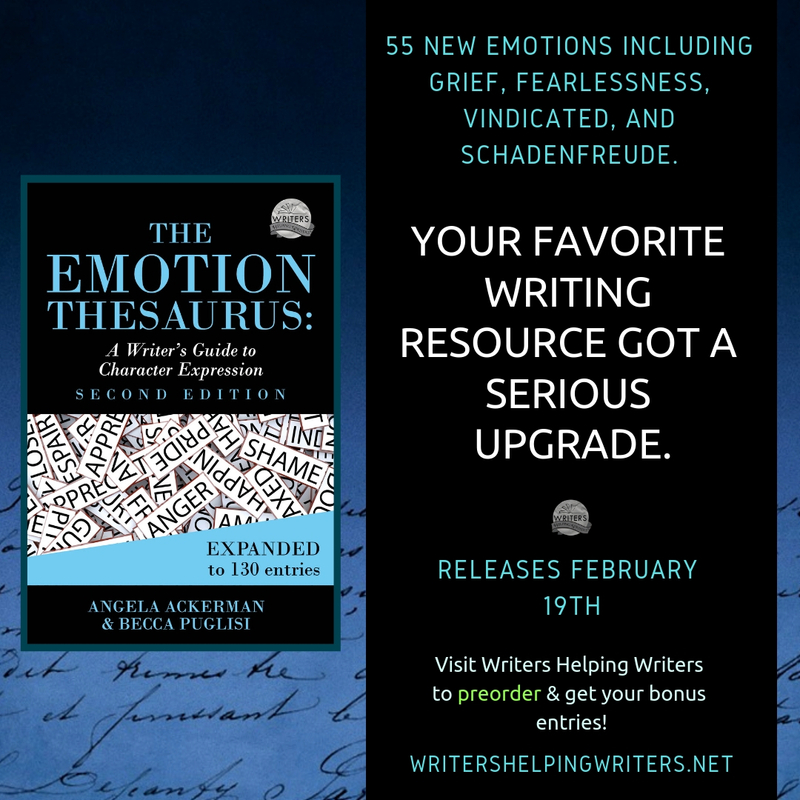 This year, they announced they’d done an updated version of the original Emotion Thesaurus, adding new entries and giving us new emotions to help with our book writing. The Emotion Thesaurus, the updated version, is due out on 19 Feb 2019. You can pre-order your copy at online retailers. This entry was posted on Tuesday, February 12th, 2019 at 6:26 am in Books, News, Promo, Writing Life. Tagged: Angela Ackerman, Becca Puglisi, emotion, The Emotion Thesaurus, thesaurus, Writers' craft bookss, Writing. You can feed this entry. Both comments and pings are currently closed. I never would have thought that someone would have written something like this but I can totally see where this would help writers. This book is so great for writers. I think every writer should have a copy.